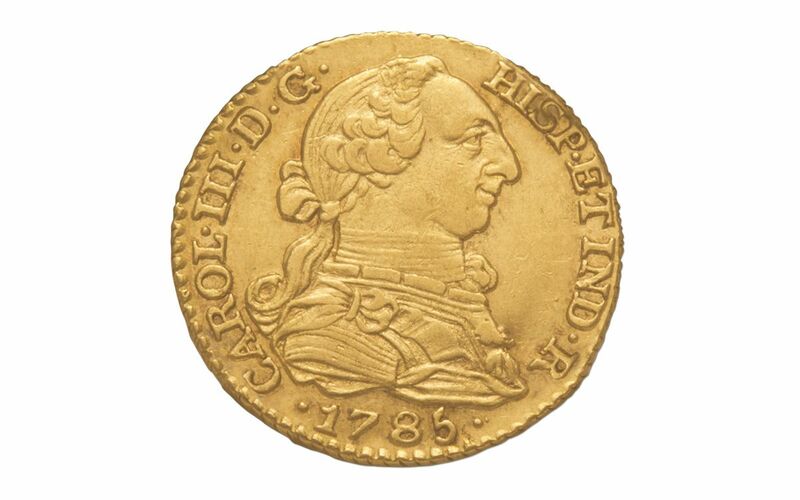 Fortunately, our buyers have located a small number of 1 Escudo coins from 1772-1821 -- the years that they were highly prized in colonial and post-independence America. 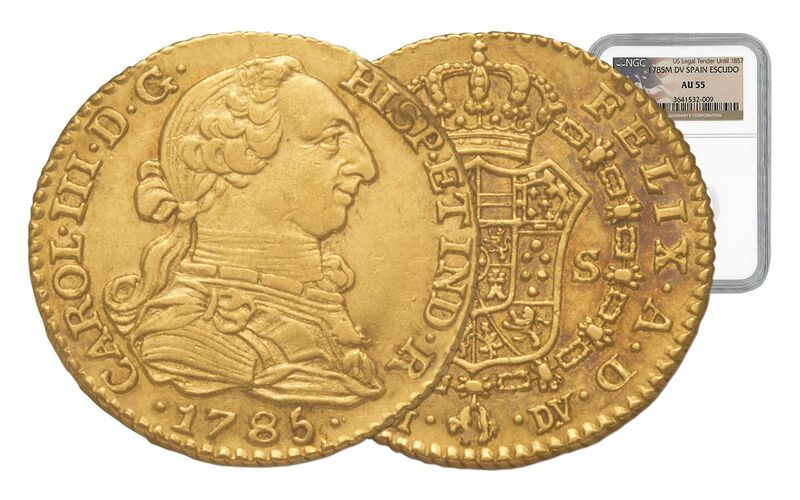 Order now and we'll choose a Portrait 1 Escudo from the reign of either King Carlos III (1772-1788), King Carlos IV (1788-1808) or King Ferdinand VII (1808-1821) to send directly to you. 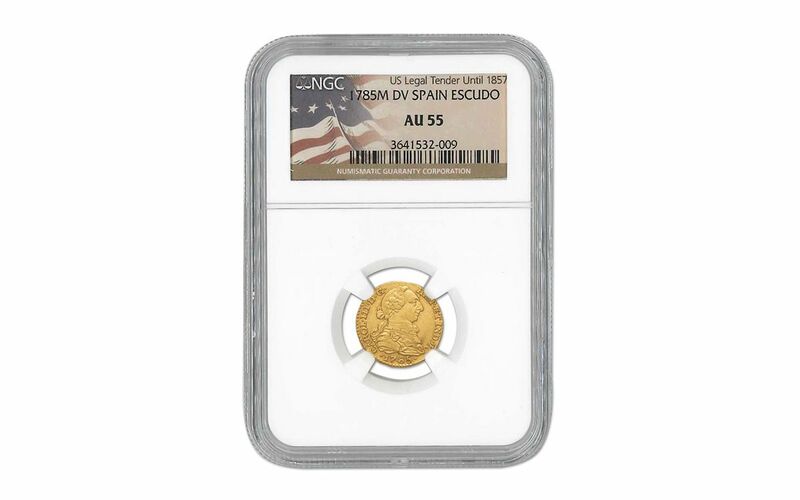 Your coin will come graded About Uncirculated (AU) by Numismatic Guaranty Corporation (NGC), sonically-sealed in an acrylic case along with an exclusive "Legal Tender Until 1857" label. In addition, your coin will arrive in a specially crafted wood presentation case along with a Gold Escudos story booklet and checklist. 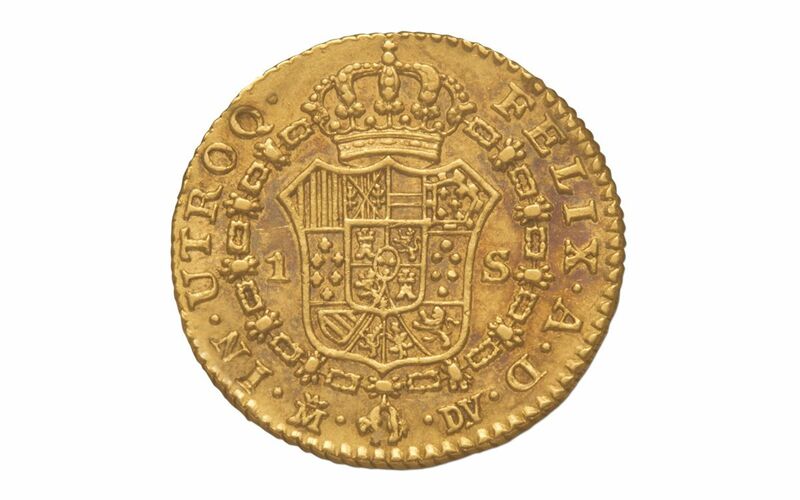 We only have a few of these Gold 1 Escudo coins in our vault. Due to their exceptional condition, we're not expecting them to stay ours for long -- make one yours today!